We are pleased to have been nominated for the Manchester BE PROUD awards. Since we only started up at less than a year ago, we didn’t expect to be a winner but it is great nevertheless to be recognized as having great potential. Now we just have to acquire the Hall! And you can support us practically by pledging on our crowd funding appeal: see the top, fixed post on this website. 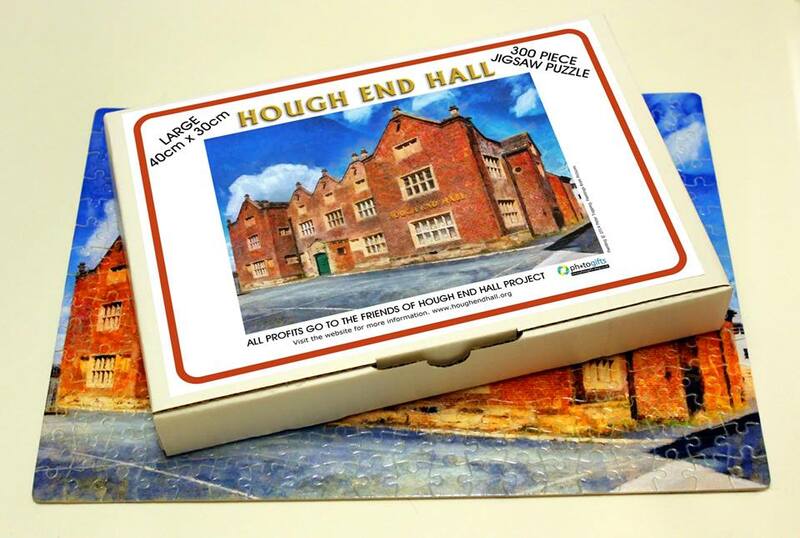 Get the Hough End Hall jigsaw! We have produced a Jigsaw Puzzle of the Hough End Hall Painting, Large size 40cm x 30cm. 300 piece boxed for only £14.99. This will make an ideal Christmas present and all profits go to the Friends of Hough End Hall Project. Copies available from Chorlton Bookshop, or contact us by email and we’ll arrange to deliver locally. 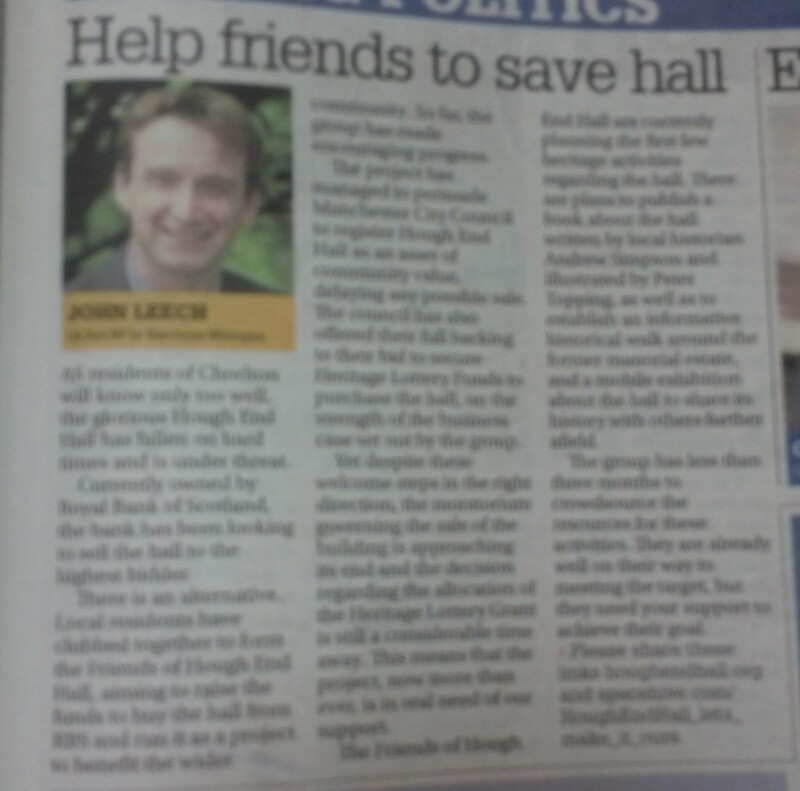 Local MP John Leech has published an article in support of our campaign to make Hough End Hall a resource for the people of Chorlton and South Manchester. 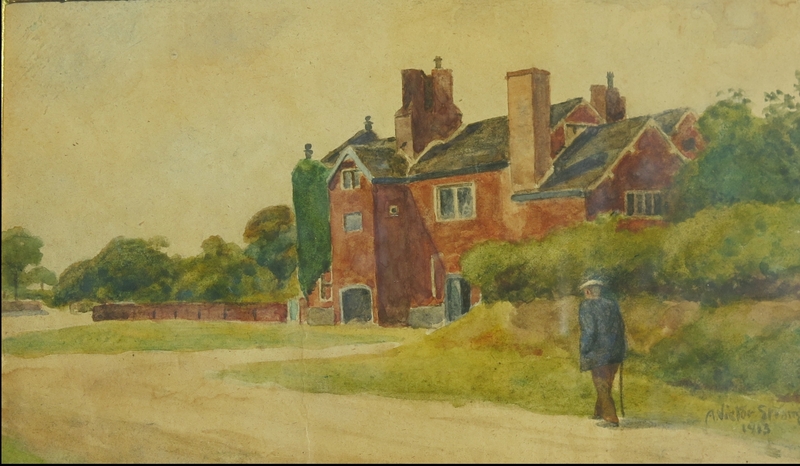 He devoted the whole of his column in the South Manchester Advertiser to Hough End Hall, summarising the history of the project, its successes and the need for support via our crowdfunding appeal. So do please follow up by supporting our appeal for funds to kick-start the heritage activities. HERE again is that link. 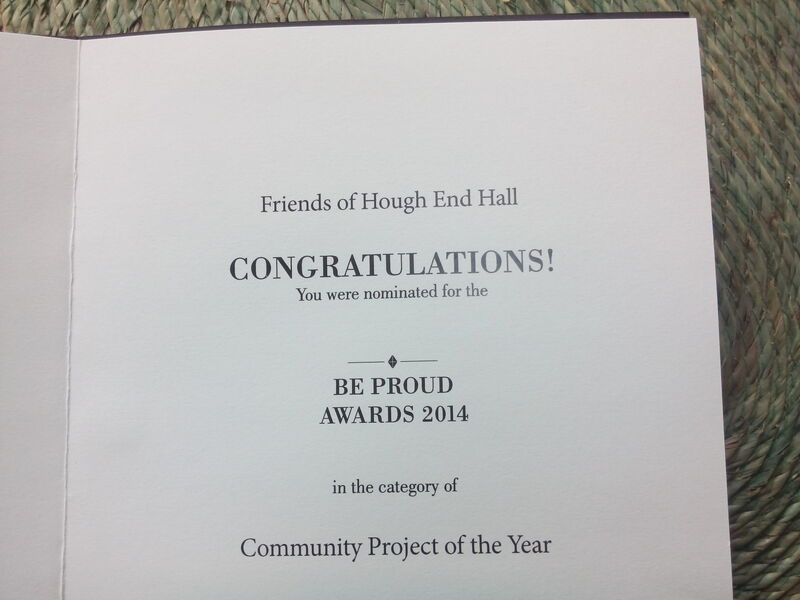 We are pleased to bring you the latest update on the achievements (and frustrations) of the Hough End Hall project. This month has given us a bit of a breather as we wait to hear about the grant applications we have submitted. We haven’t been sitting on our laurels though. The upshot of our petition to RBS in the summer was that they extended the time within which they definitely will not contract with another buyer until we have heard the outcome of the Stage 1 bid to the Heritage Lottery (mid-December). If we are successful, they have said the ‘will give consideration to extending the time period’ until the decision is made about a Stage 2 Heritage Lottery bid. What exactly this means in practice, we don’t know, but we hope we don’t have to petition the CEO of RBS and Chancellor of the Exchequer again. But if this is what it takes, we will do it. Let’s hope this concession and lukewarm support will be enough for Heritage Lottery Fund to believe we are worth funding. Most importantly, please encourage other people to take part as well. Pledges only turn into donations if the target is reached. There are different benefits on offer, all of which make you a part of the campaign. If and when we acquire the Hall, your name will be included on the Roll of Honour to be displayed permanently. Thank you, too to those who have made a contribution to our ongoing costs, without which we would not be able to keep up the profile of the campaign. Donations to Carolyn Kagan, 37 Chandos Road South, M21 0TH payable to Friends of Hough End Hall. Mailings: We have a large mailing list and send regular updates. Facebook: https://www.facebook.com/groups/houghendhall If you are a Facebooker, do sign up. Organise some fundraising events – anyone want to help? Next steps in the campaign to Make It Ours as RBS delays sale of Hough End Hall. Thanks to everyone who supported our campaign to persuade RBS to defer the sale of the Hall to give us sufficient time to arrange funding for the purchase. Following recent correspondence we can update you on the encouraging progress we’ve made. 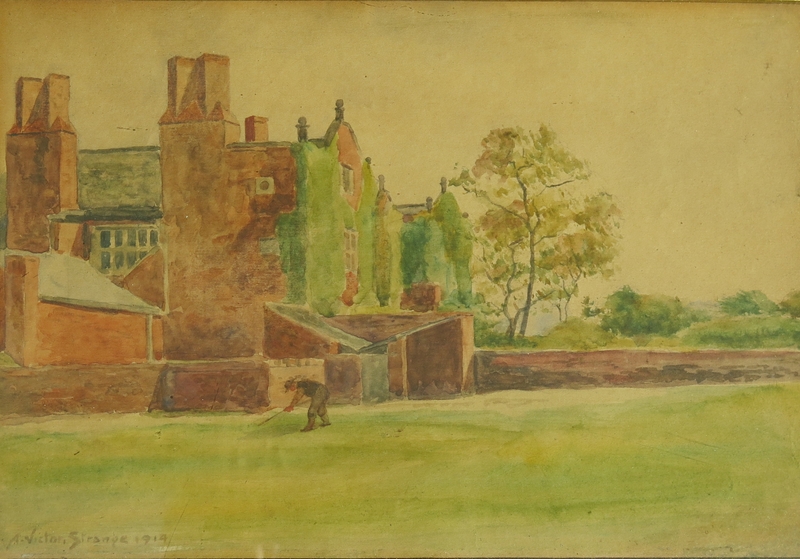 The Hall, which we want to make available as a resource for the community of South Manchester, is currently owned by the Royal Bank of Scotland (RBS), through its subsidiary ‘West Register’. We succeeded in having it listed as a ‘community asset’ which meant a sale could not be concluded until 25 November, 2014. While the Hall had been vacant for more than two years, there was pressure from the Treasury for RBS to get rid of its property portfolio as pay back for some of the government’s bail-out. Our problem was that our best chance of raising the money to buy the Hall is through a big grant from the Heritage Lottery Fund (HLF). But although our meetings with them have been encouraging, it will take time and a considerable amount of work to demonstrate that our plans to run the Hall are water-tight, and they won’t be able to make a final decision on funding until December, 2015 at the earliest. So we decided to petition to Ross McEwan, Chief Executive of RBS, George Osborne, Chancellor of the Exchequer ,and Vince Cable, Secretary of State for Business. In only two weeks we obtained 500 signatures (on the Change.org website and on paper) so at that point we closed the petition and submitted it, together with letters to the three people. Much to our surprise George Osborne wrote to RBS. Soon after this we received a sympathetic letter from him, and he enclosed a letter from RBS’s Executive Investigation Department (for some reason our own copy of that letter did not arrive until later). The letter said that our aims are consistent with their new found orientation community focus, but first we had to make a bid for the Hall. This we did, and RBS have now confirmed they will not contract with another party until the determination of our first round bid. If we are successful at this stage, RBS will give consideration to extending the period during which they hold the building until the results of the second round application to the Heritage lottery is known. Successful Stage 1 application indicates a good chance that a grant will be awarded (although it is of course no guarantee). We will know the outcome of Stage 1 in December. So this is great news and we could only have got this far with the support so many of you have given us. We have two grant applications in now. The first is the HLF stage 1 application, a very detailed document that sets out our plans for the building and its restoration, with a business plan. The application is for the purchase price, restoration costs and costs of running the building while it becomes financially viable. The second application is a feasibility grant application (building on work funded by our current pre-feasibility grant) for some of the costs involved in developing plans, doing surveys, etc. in preparation for assuming responsibility for the building. Crowdfunding, what is it and how does it fit in? You will also be aware that we are also trying to raise a separate sum of money by crowd-funding. This is a way of putting together a lot of promises of donations from individuals and organisations. The appeal runs until 31 january. We are not trying to raise the purchase price of the Hall through this – it is too much to ask. It is, instead, to fund some of the heritage activities (a Heritage Walk, a book about the Hall, a Mobile Exhibition, and a high quality interactive website), that will be an essential part of the Hall’s new life as a Heritage-based community resource. But even if we don’t acquire the Hall, the heritage activities will still be established (if we meet our crowdfunding target, and we’ve a long way to go) and they would keep the idea of returning the Hall to the community alive for the future. Most important, our success with crowdfunding will increase our chances of landing the big Heritage Lottery Fund grant. It will show the support of the local community, not just in words, but financially. So again, please, please do support this, and do spread the word. Remember, you pay nothing unless and until we reach our target. Finally, thanks to everyone for the support you’ve shown so far. We have achieved our first major success and are confident about making a very strong attempt to Make Hough End Hall Ours over the coming year. with news about our £1.4M Heritage Lottery Fund application, our campaign to get RBS to delay the sale of the Hall, and our really important Crowdfunding initiative.